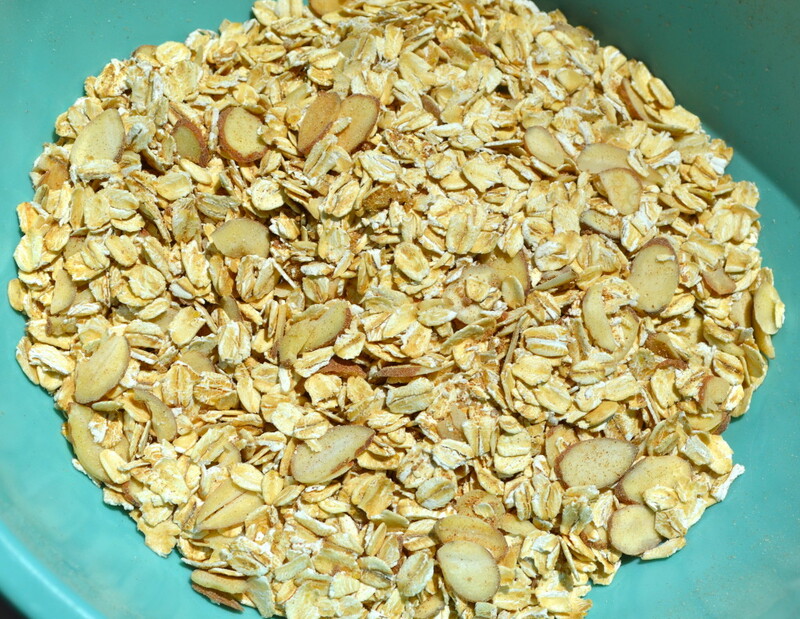 I absolutely love any and all granolas. The problem is many of them have crazy ingredients when you think you are getting something super healthy. 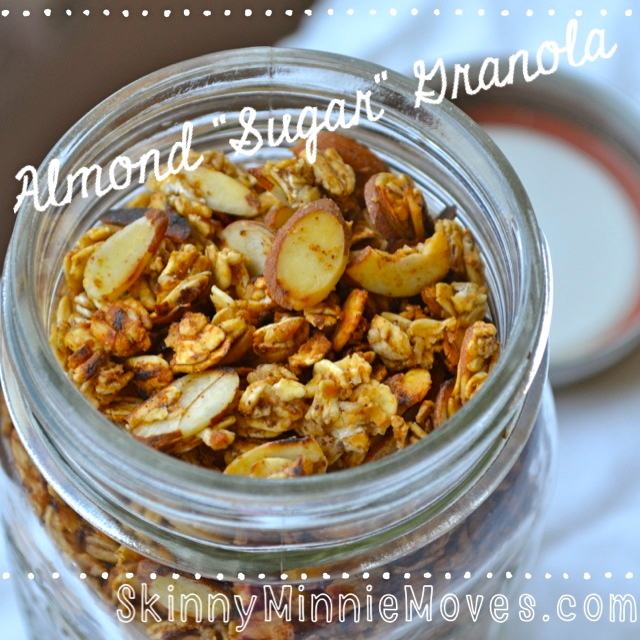 This granola is simple and tastes sugary sweet without the guilt! 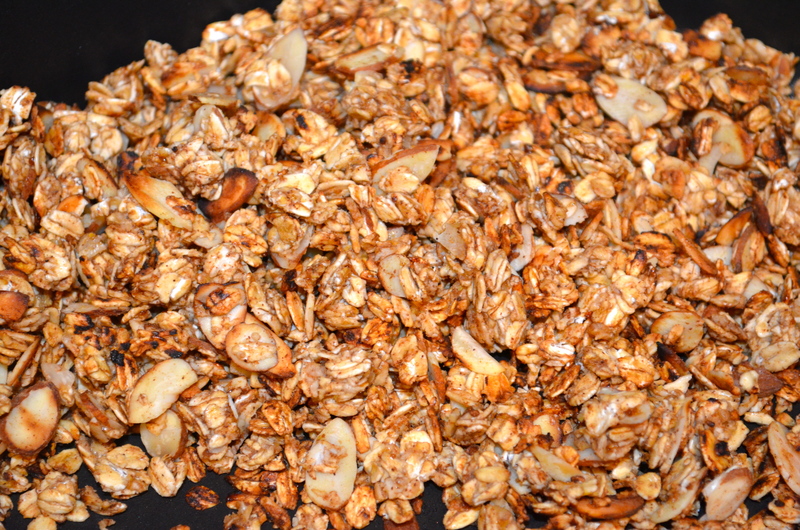 These flavors just melt together to make an “old fashioned” type granola, rather than all the bells and whistles. In this recipe I do use coconut crystals, but if you can’t find those, throw in some coconut flakes or an extra dusting of brown sugar or xylitol for sweetness. 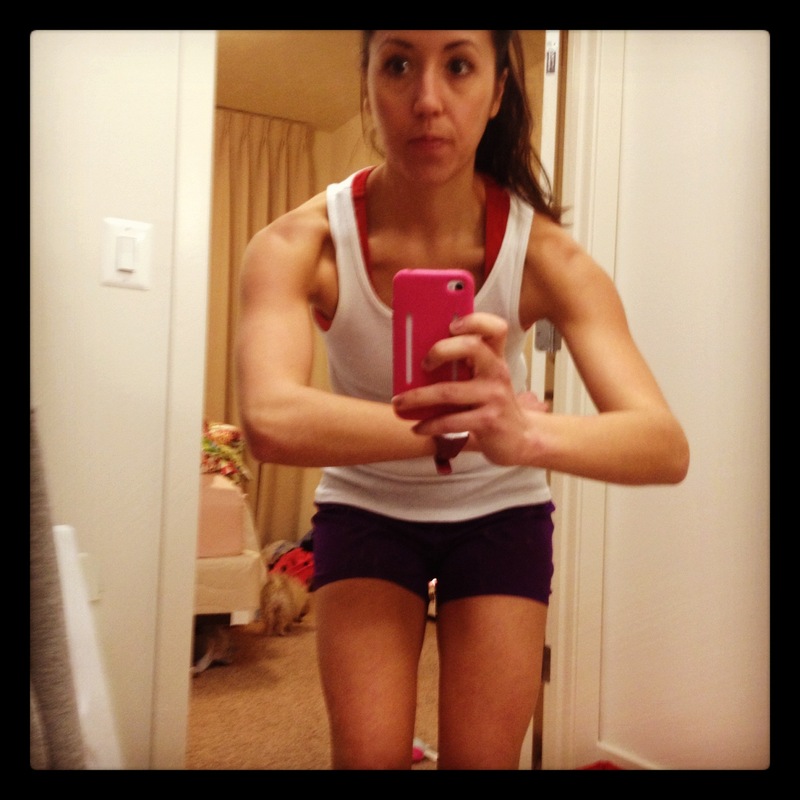 Inspired by my FitBloggin’ favorite breakfast. Here’s the recipe! 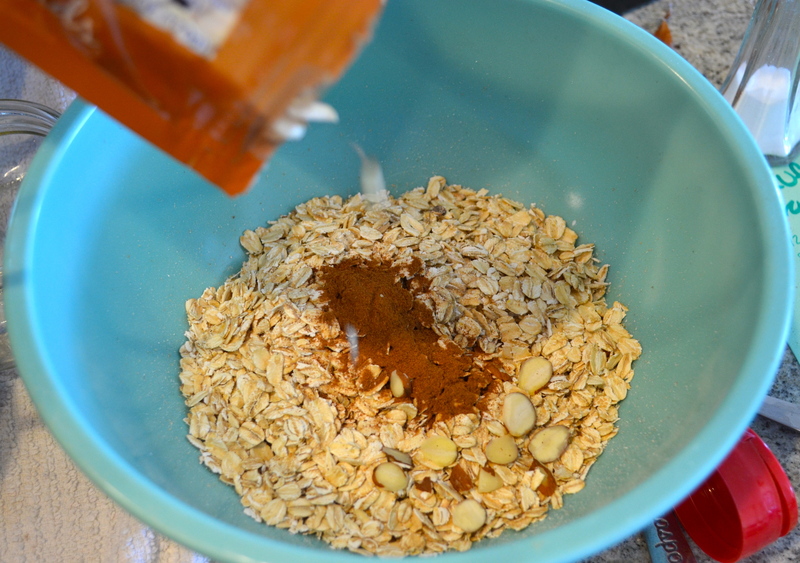 Next comes the base that holds the granola together. I used a VERY ripe banana that I placed in the freezer for fluffs. I let it thaw completely on the counter. 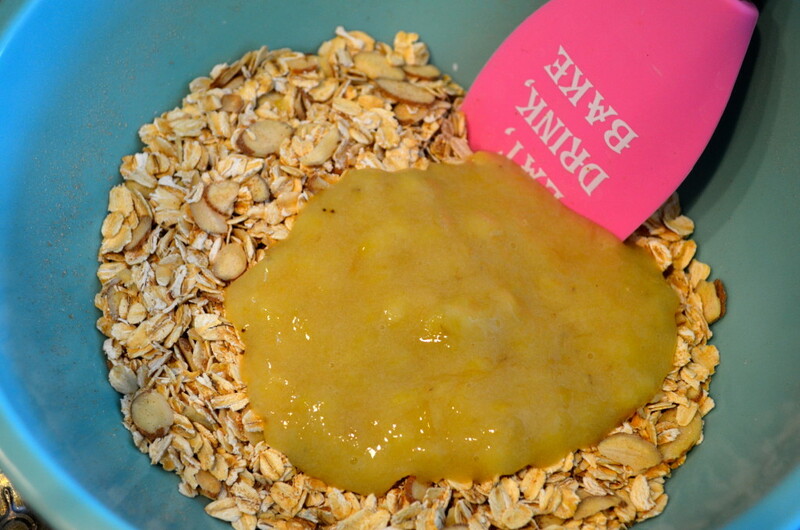 When you remove it from the peel it is so soft and incredibly easy for mashing. 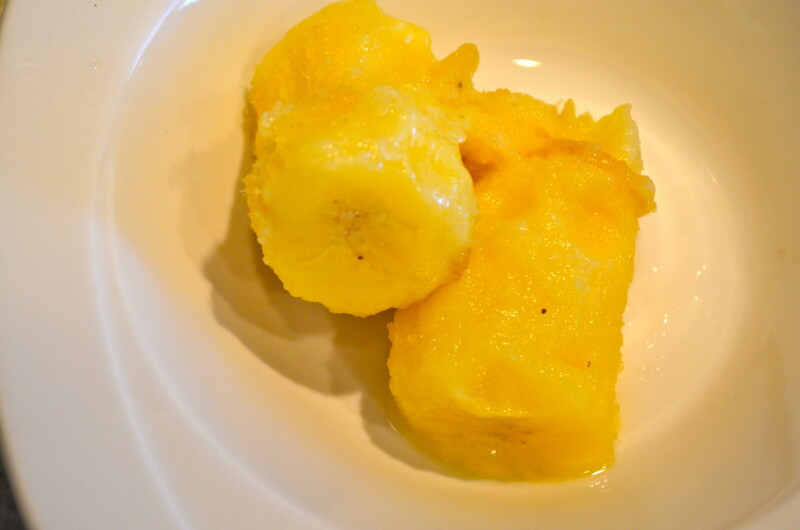 So, super ripe–>freeze—> thaw is the best combo for making this! As you see it’s like baby food! This is the consistency you want. 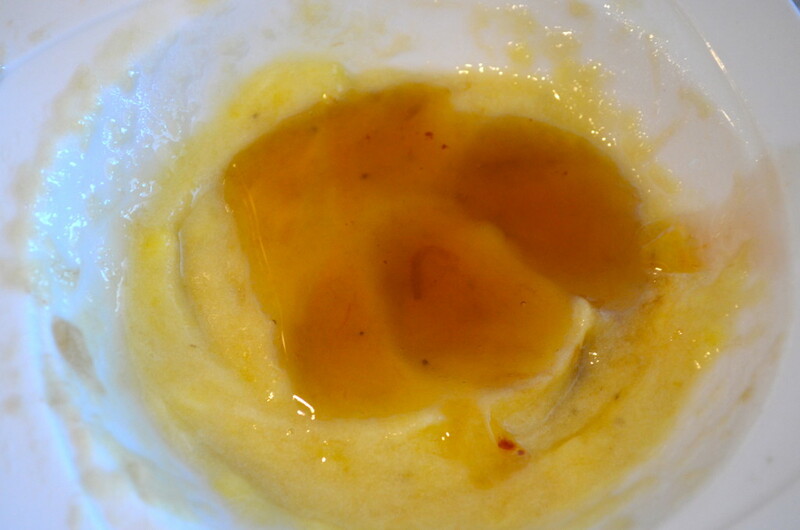 To this add the maple syrup and stir. 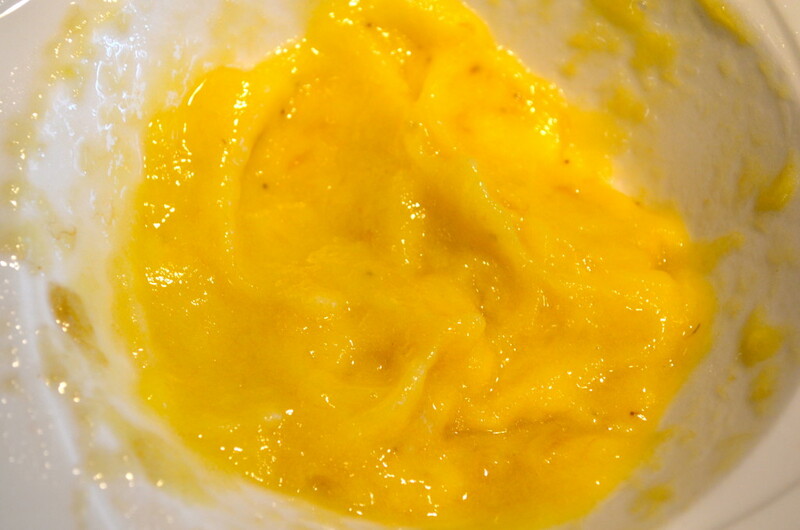 When this happens, reduce the heat to low and cook an additional 10 minutes, stirring occasionally. 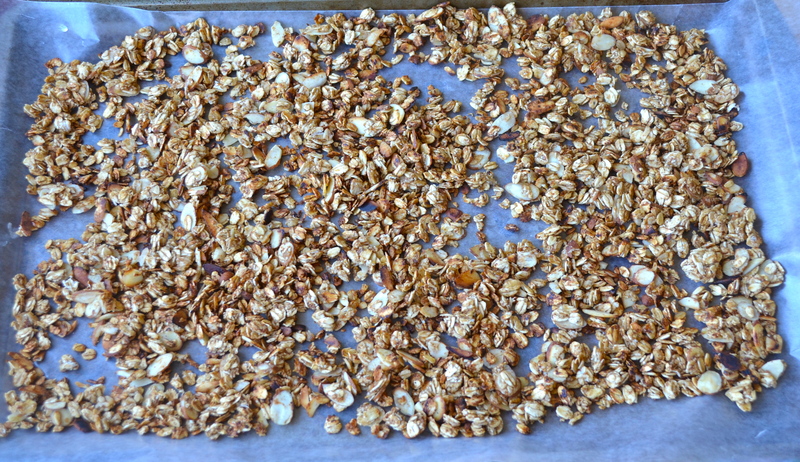 Then transfer to a cookie sheet to cool. I placed wax paper underneath for easy removal. The longer you let it cool, the crunchier it will get! 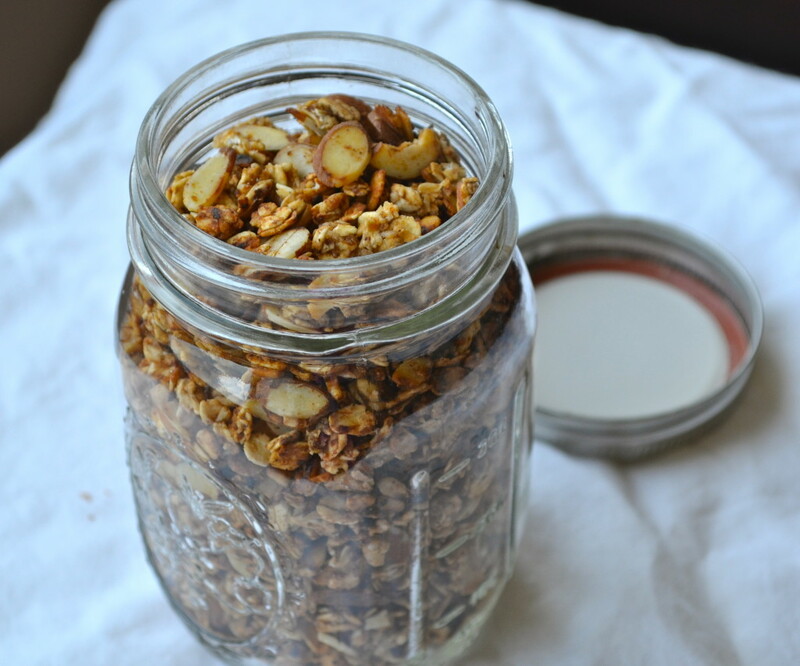 I ended up putting my granola in a cute little jar! 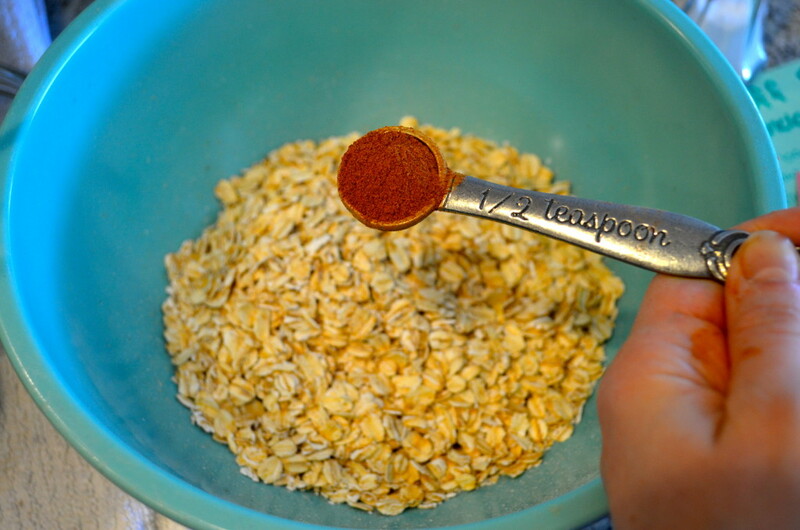 This will last about 3-4 weeks in your cabinet (if you don’t eat it all first). Nutritional info: PER SERVING (1/4 cup):112.5 calories, 4.1 grams of fat, 16.4 grams of carbs, 4 grams of protein, 3.25 grams of sugar. Ah! 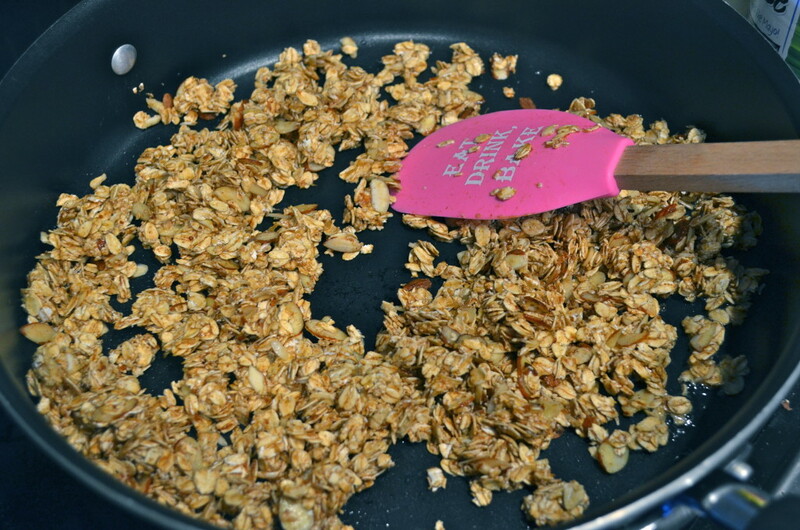 I never thought of using a skillet…I always burn my granola when I try to make it in the oven. I’ll definitely have to try this out. 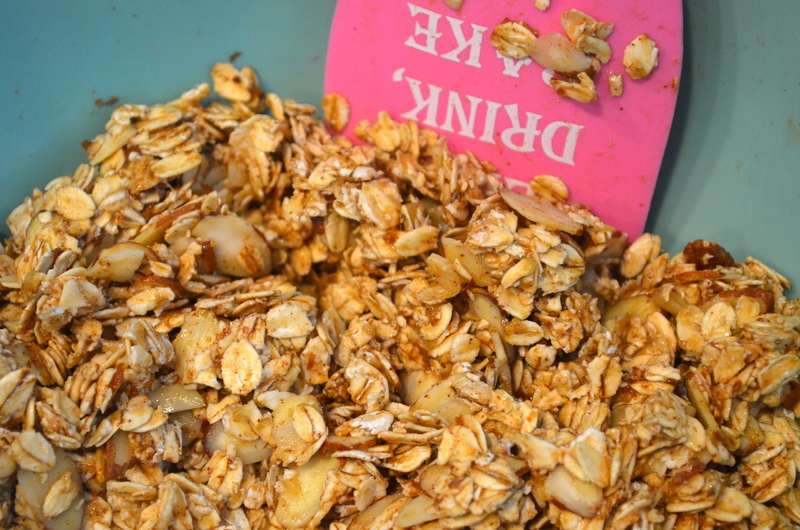 Sorry to hear about the granola casualty though…nothing worse than the sound granola makes as it hits the ground and scatters across the floor… Good excuse to try another batch or recipe though!